The children were told the story of how the animals decided which year would be named after them. they were very surprised to find out how the rat crossed the river first and decided he was a bit sneaky! 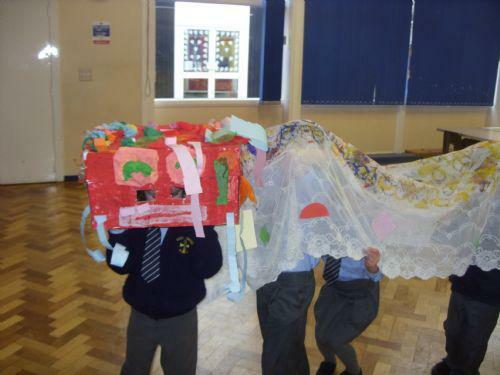 To gage an understanding of Chinese culture the children took part in making some things associated with Chinese New Year and their ways of celebrating. All the children learnt our Chinese New Year song and had a try at making the dragon move, and being the street musicians. The chidren thoroughly enjoyed the afternoon and were excited to find out somethings were the same between our cultures. For example, many people in England also let off fireworks on New Years Eve, and families often have a special meal on New Years Day.